Grace Coddington refuses to wear ''cheap'' clothes and always wears Celine garments because she doesn't think she can ''get away'' with wearing less expensive garments. 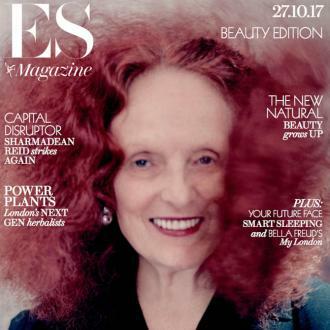 Grace Coddington refuses to wear ''cheap'' clothes. The former creative director at large of American Vogue magazine has revealed she always shops at the French fashion house Celine because she loves their tailored trousers and she doesn't think she can ''get away'' with wearing less expensive products at her age. The red headed icon has revealed she often uses social media and boasts a ''huge gay and transvestite following'' on various sites except Snap chat, which she has described as ''snap-crap'', because she thinks it's a waste of time. She explained: ''I have a huge gay and transvestite following. But also, all these very young kids. I think they know I'm a very positive person who will not take no for an answer. Even from my boss. Grace announced she was leaving US Vogue last year, but she has still praised the publication for transporting her away from the ''tiny place'' she lived.